← How to Survive a Horror Movie. As a followup to my blob post titled “A Geek Peek At 2012” while talking to folk I’ve come across seven more things that might catch the interest of some of you out there. Keep in mind, nothing on this list is in any specific order. 7. E3- E3 2012 may be the biggest show ever, with the new Wii U, XBox, and the PS4 tease. It’s rumored that the NetBox will be making an appearance at E3 2012. In a surprise move, Sony executives have hinted that they will reveal a new console at E3. If the rumors are found to be true, then this could mark the first time ever an entire generation will be revealed in a single place, single time. 6. 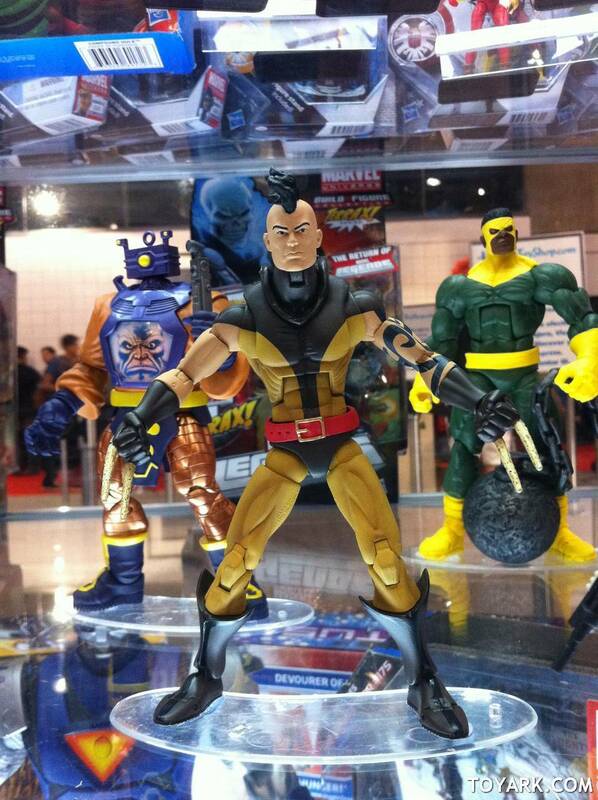 Marvel Legends- Hasbro’s line of 6-inch action figures is poised for a comeback in 2012. The first wave is said to feature figures of Steve Rogers, Iron Man, Hope Summers and the return of “Build-a-Figure” in the form of Terrax. If that’s not enough, a new Wolverine, Punisher and a Nova Prime are just a few of the figures about to become Marvel Legends! If you’re a collector, your wallet’s going to hate you. 5. The Dark Knight Rises- Due to the disappointment of some of you for not placing this on my previous blog post, I’ve seen fit to place it here. 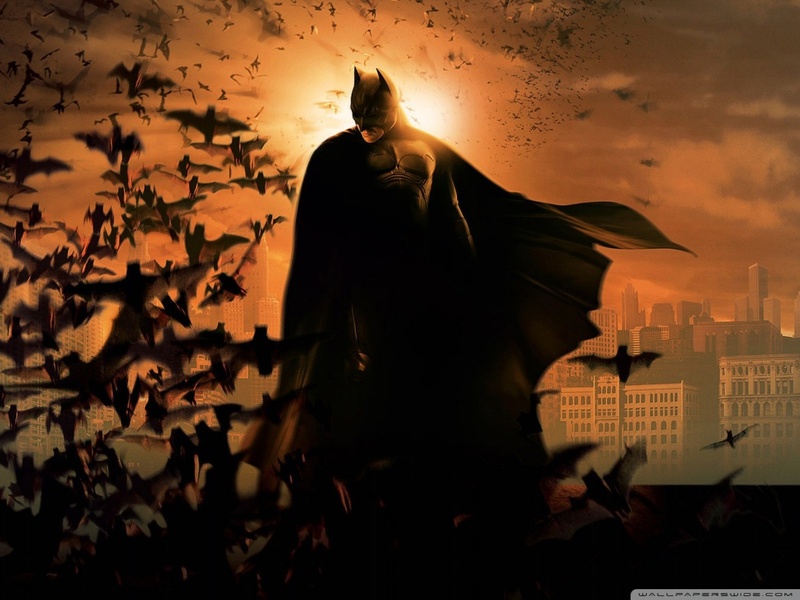 The Dark Knight Rises will be showcasing Bane and Catwoman for the first time in the current movie franchise. This may be the final installment of the billion-dollar Batman movie franchise. The promise that “The Legend Ends” = the one movie in 2012 you and I would be crazy to miss if you’re a Batman fan. Will it be all it’s made up to be? Who knows. 4. Abraham Lincoln, Vampire Hunter- I have yet to read the book, but I have seen a preview for the film and honestly it looks interesting. Not necessarily 100% historically accurate, it should still make for an interesting watch. Thanks to Twilight, I’m sure Abraham Lincoln, Vampire Hunter won’t be the worst vampire film I’ve ever seen. If you’re like me and haven’t read the book, here’s a blurb about the plot: President Lincoln’s mother is killed by a supernatural creature, which fuels his passion to crush vampires and their slave-owning helpers. (Told you it was a blurb.) 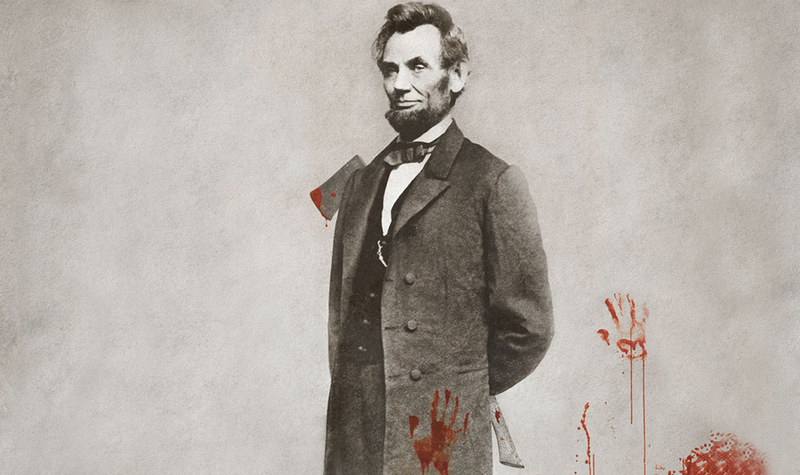 What can go wrong with pitting the Great Emancipator Vs. the undead? 3. The Last Airbender: Legend Of Korra- As huge a fan as I am of Avatar: The Last Airbender and the world of the story, I’m sure I’ll enjoy this continuing of the Avatar story. This second Nickelodeon series is set in the world of Earth, Air, Fire and Water. The difference is that this time it’s not Aang who is the hero. 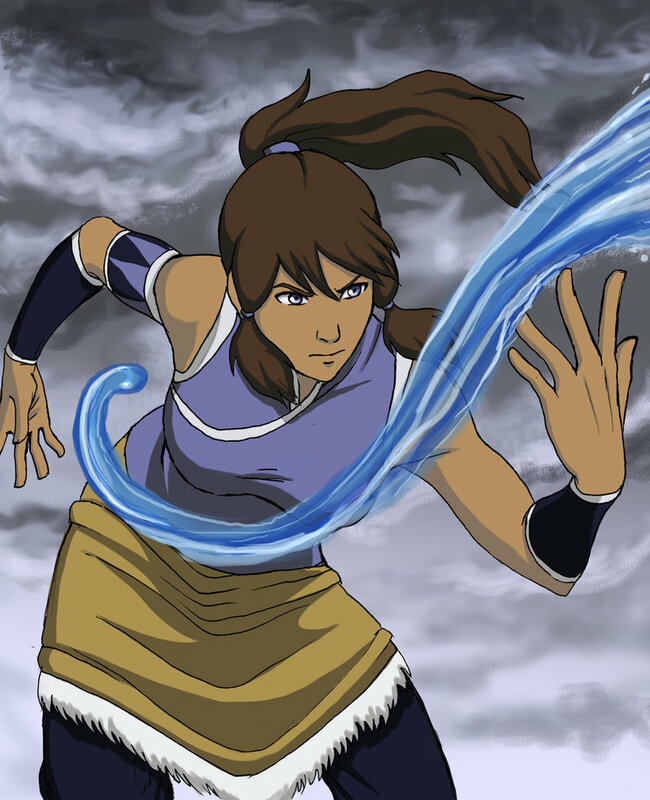 Seventy Years after Ang, a new Avatar named Korra appears as the hero. Though there’s a new Avatar, I’m sure this new series will dazzle me as much as the first one did. 2. Rurouni Kenshin- Also known as “Samurai X” the wildly popular ’90s manga-turned-anime series is back on with three new offerings. The first is an original animation video (OAV) called “Rurouni Kenshin: Shin Kyoto-Hen,” which retells the epic battle between our favorite red-haired Meiji-era swordsman and his heavily bandaged archenemy, Shishio Makoto. 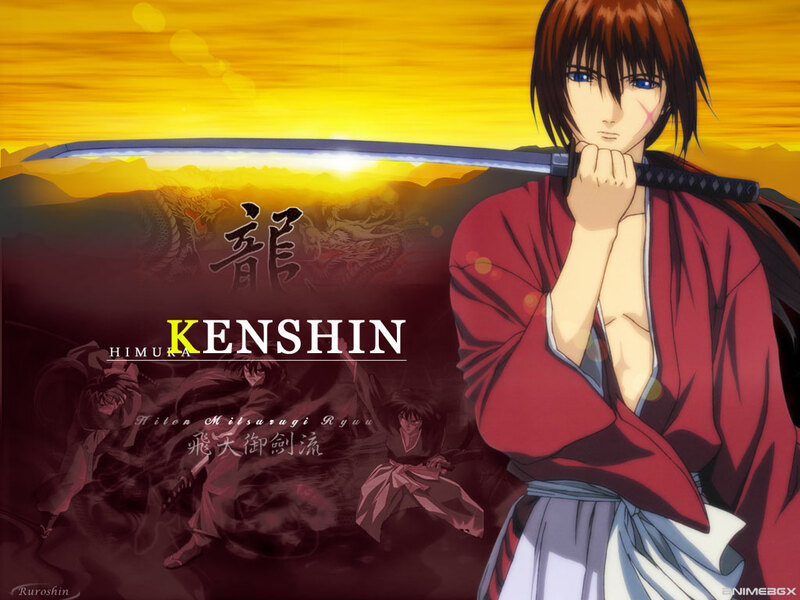 The graphics are said to be similar to the main anime series, with voice actress Mayo Suzukaze reprising her role as Kenshin Himura along with the rest of the original cast. The OAV’s first half premiered in Japan last December; the limited-edition DVD and Blu-Ray version is set for release this March. Secondly, the live-action version, produced by Warner Bros., finally hits theaters in Japan on August 25th. The hype broke out when the film staff released a trailer and several set photos online, plus an ad featuring actor Takeru Satoh (“Kamen Rider Den-O”) in full getup as Kenshin Himura in the January 2012 issue of Jump Square magazine. The cast for characters Kaoru, Sanosuke, Yahiko, Megumi, Saitou, and the series’ “first” antagonists Jin’e and Takeda have all been confirmed. Lastly,but not least Jump Square announced that the manga series will resume running in May 2012, with creator Nobuhiro Watsuki at the helm. Whether this is a “reboot” or an actual sequel is unclear, but I’m sure fans would like a new arc; or at least, for it to pick up where the manga left off 12 years ago. These dates though are for releases in Japan, to the best of my knowledge. 1. 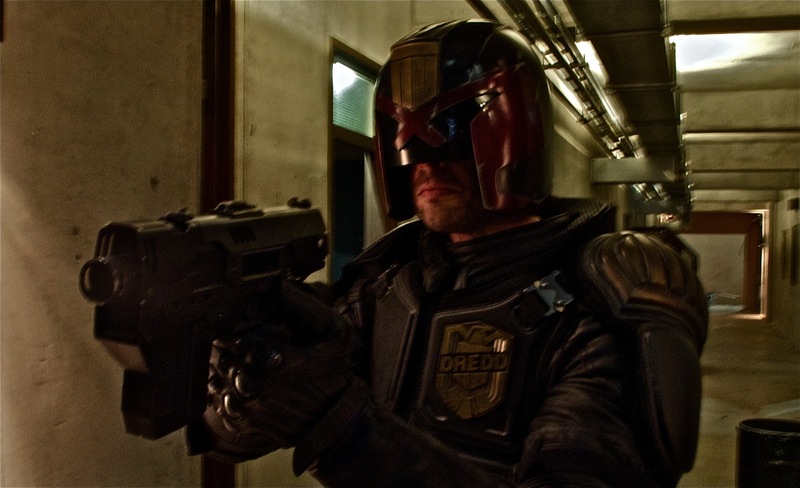 Dredd- Most people could probably agree that the first attempt to make a movie based on the popular 2000 AD character was completely awful. Just the thought of it has me hearing Stallone shouting out “I am the law!” Hopefully the remake can’t be any worse. Danny Boyle is producing the remake, Alex Garland is on script writing dutys and Karl Urban is playing the lead role. Given the lack of Stalone in this film, I think it’s safe to say that the new version is going to be far better than than the 90s version. Here’s to hoping. Though this post lacks some of the flair of my previous post, I still can’t help but be excited by some of these things. Just more proof that this is going to be one heck of a year. I sure hope Dredd is Rob Schneider-free! As far as I know.. it should be. It’s not that I don’t like Rob Schneider… I just don’t like his body of work.. with one exception or another of course. There’s almost always an exception. I think they do. Pretty soon the dark knight’ll be dawning bat-diapers.